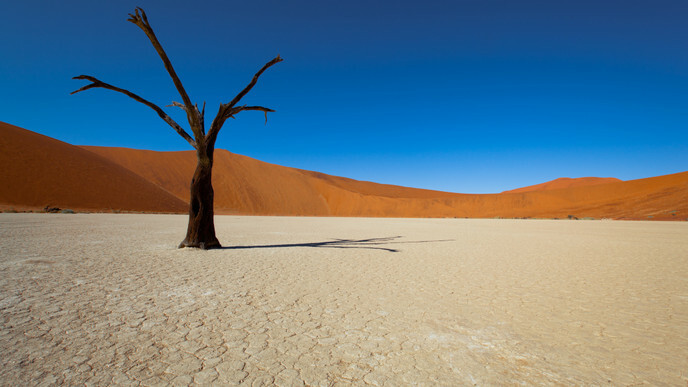 The 6 day Taste of Namibia tour is a combination of Etosha & Sossusvlei, with a night in Swakopmund at the coast. It’s designed to show you the very best of iconic Namibia, from the breath-taking landscapes of Sossusvlei and Sesriem to the unforgettable wildlife of the country’s premier Big Game location, Etosha National Park. Welcome to Namibia! On your early arrival at the Windhoek International airport, you will collect your vehicle and depart for the Etosha National park. Located in Northwestern Namibia, Etosha East is a protected sanctuary in the eastern part of the world-renowned Etosha National Park, known as one of the most accessible game reserves in Southern Africa. Etosha East boasts vast open plains scattered with semi-arid savannah grasslands dotted with watering holes and secluded bush camps. An impressive 5000-square-kilometre Etosha salt pan makes up a large area of the eastern side of the park and can even be seen from space. This remote area teems with abundant wildlife such as lions, elephants, black rhinos, and giraffes, as well as a variety of birdlife featuring flamingos, ostriches, eagles, hornbills, and owls. Today will be a full day game viewing while you make your way towards the southern side of the National park. Located just south of the boundary of Etosha National Park in northwestern Namibia, Etosha South makes up the southern region of this wild paradise. Ogava Private Game Reserve shares the southern boundary with Etosha National Park and offers an array of luxury lodges overlooking picturesque landscapes dotted with abundant wildlife. The national park can be accessed via the southern entrance at Andersson’s Gate. Visitors can catch a glimpse of a variety of wildlife including lions, giraffes, elephants, white and black rhinos, and a multitude of plains game. Popular activities include game drives, tracking rhinos on foot, guided nature walks, or watch the sunset over this magnificent landscape. You might also want to visit the spectacular Etosha Pan. This morning, you will depart for the coastal town of Swakopmund. Set along Namibia's spectacularly scenic coast, the seaside town of Swakopmund is known for its wide-open avenues, colonial architecture, and is surrounded by otherworldly desert terrain. Founded in 1892 as the main harbour for German South West Africa, Swakopmund is often described as being more German than Germany. Now a seaside resort town, Swakopmund is the capital of the Skeleton Coast tourism area and has plenty to keep visitors happy. The quirky mix of German and Namibian influences, adventure options, laidback atmosphere and cool sea breeze make it very popular. Today you will depart via Walvis bay to the Namib Desert. Located in the scenic Namib-Naukluft National Park, Sossusvlei is where you will find the iconic red sand dunes of the Namib. The clear blue skies contrast with the giant red dunes to make this one of the most scenic natural wonders of Africa and a photographer's heaven. This awe-inspiring destination is possibly Namibia's premier attraction, with its unique dunes rising to almost 400 metres, some of the highest in the world. These iconic dunes come alive in morning and evening light and draw photography enthusiasts from around the globe. 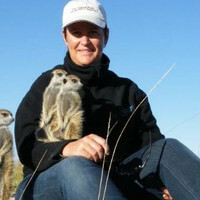 Sossusvlei is home to a variety desert wildlife including oryx, springbok, ostrich and a variety of reptiles. Make sure you have an early start this morning so that you can spend as much time in the dunes as possible. Named for its location 45 kilometres past the town of Sesriem, Dune 45 is renowned for its elegant shape, which – along with its position close to the road – have earned it the distinction of ‘most photographed dune in the world’. The Sesriem Campsite is perfect for campers who want to experience the beauty of the Namib Desert with the sun setting over the Elim Dune. Watch the stars emerging until they fill the sky above you and the clicking of the desert barking Geckos and distant howl of the Jackal. Sit by the fire and imagine what you will. Today marks the end of your visit. The drive will take between 4 - 5hours, so please arrange a late departing flight home. Safe travels, and don't forget that you are always welcome back!